JUMLA, June 19: Paddy plantation festival was organised here on Saturday on the occasion of the 14th National Paddy Plantation Day. The District Agricultural Development Office organised the festival at Tatopani Rural Municipality-5 under the slogan "Decrease dependency by limiting the import of rice: one meal rice, one meal roti (flat bread) for a healthy life". Planning Officer at the Office, Balakram Devkota, said that the festival was organised with an objective of disseminating the message for the preservation of native crops by displacing the import of agro products. 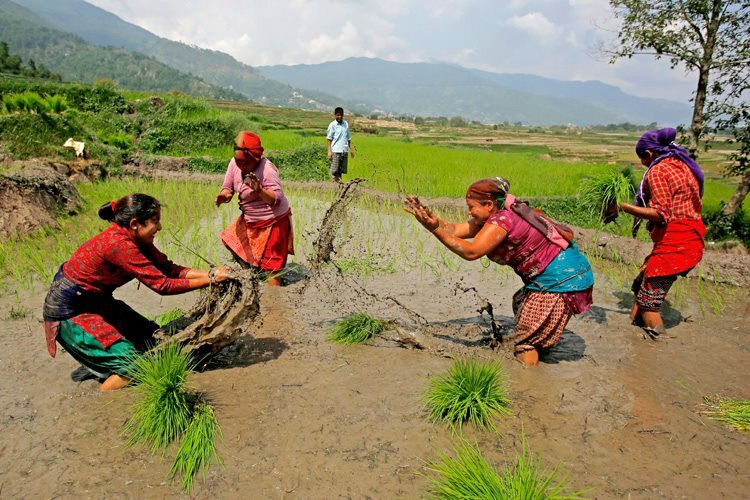 Senior Agriculture Development Officer, Bharat Prasad Kandel, said paddy is produced on 1.5 million hectare of land in the country whereas paddy is produced on 2,950 hectare of land in Jumla. Five different types of paddy are grown in Jumla.